Palestinian students at British universities celebrating the wedding of one of their members, Izz aI-Din al-Shawwa, London, 1928. Seated left to right, first row, are Khulusi al-Khairi from Ramleh (Public Administration, London School of Economics); unidentified woman; Izz aI-Din al-Shawwa from Gaza (Agriculture, Cambridge University); the bride; Wasfi Anabtawi from Nablus (Geography, Cambridge University); Mrs. W. Anabtawi. Second row: Wasif Kamal from Nablus (Law, London University); Muhammad Hadid and Taha Abd al-Baqi (both Iraqi colleagues); Anis al-Bibi from Jaffa (Economics, Cambridge University). Last row: Diya aI-Din aI-Khatib from Jerusalem (History, London University); Nazif al-Khairi from Ramleh (Public Administration, London University); Khalil al-Budeiri from Jerusalem (Ophtalmology, London University). Before Their Diaspora: A photographic history of the Palestinians, 1876-1948. Dr. Eyad El Sarraj, Gaza’s first psychiatrist and pioneer of community-based mental health services, scorned Zionism but never Israelis. He saw their aggression toward and paranoia regarding Palestinians as a consequence of Jewish suffering (with the Holocaust at its center) which imbued Israelis with an acute sense of vulnerability that resulted in them lashing out at any imagined threat. Unfair as it might be for the victim to assuage the victimizer, the Palestinians, in el-Sarraj’s view, had to see to it that Israeli fears were disarmed. He told a story once about finding himself in a pedestrian jam that had formed as a man waved a sword around a frightened crowd. “The man was frightened more than anyone. He was defiant but deeply frightened,” el-Sarraj related. “And he was one of my patients.” The crowd was closing in on the frightened soul and El-Sarraj was certain they would kill him in their effort to restrain him. He called out the man’s name and approached him with open arms. “He still had the sword, right? He could have killed me. What does this story teach? First, that we have to be willing to take risks if we want to disarm fear. Second, that our approach must be gentle but deliberate. And third, we have to understand that panic is painful, and that if given a chance, most people, even those suffering from a mental disorder, will choose to surrender their fear.” Another day, at the Erez checkpoint, an Israeli soldier accosted him belligerently but the doctor disarmed him with humor. “I am a psychiatrist,” he said. “That’s an important job. Both of us need a psychiatrist. Every president, every prime minister needs a psychiatrist.” The soldier, in El-Sarraj’s eyes, was another frightened soul whose fear needed to be assuaged. Later that evening, after crossing into Tel Aviv, the psychiatrist from Gaza told a crowd of Israelis: “There are huge differences that separate us. But what we face, what both people face, is a common set of challenges. Unless we meet these challenges together, we both are doomed.” Dr. El Sarraj died from leukemia in December 2013. Mujid Suleiman Kazimi was less than a year old when Zionist militias forced his family from their Jerusalem home in 1948, driving them into exile. After primary schooling in Jordan and Kuwait, he returned to Palestine for high school and graduated from Birzeit College as a “model student for excellence in the sciences.” Graduate school at the Massachusetts Institute of Technology (MIT) soon followed and by 1989 Kazimi was the head of MIT’s Department of Nuclear Science and Engineering (NSE). In the words of the current NSE chair, during his time at MIT, Kazimi distinguished himself as “one of the world’s great nuclear engineers,” whose contributions transformed nuclear power into a more economically efficient and safer source of energy. 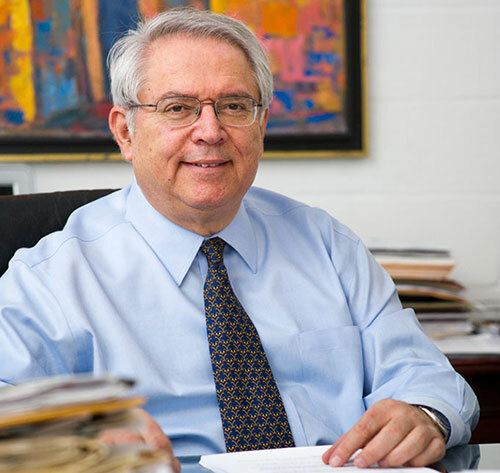 Although he won great recognition – including election to the National Academy of Engineering, the highest level of achievement in the field – Kazimi never abandoned his Palestinian roots. As a student at MIT, he served as president of the Arab Student Organization and later joined the prestigious but now-defunct Association of Arab-American University Graduates (AAUG), committing himself to counter anti-Arab stereotypes. A board member of Al-Quds University in Jerusalem, he related with great empathy the injustice that burdened the Palestinians: “Going back [to Jerusalem] is always an emotional experience. The Separation Wall comes right [up] to the border of the university. It’s really very painful to think of how these walls have separated the Palestinians and restricted their movement. It’s a real manifestation of them being in a cage and not being able to move out of it.” For many Palestinians, he was an incredibly inspiring figure – a testament to what is achievable no matter the obstacles and prejudice in the way. One of his former students at MIT wrote in his commemoration, “I’ll never forget that first meeting when I walked into his office and saw a large portrait of [al-]Aqsa [Mosque] covering a pretty good portion of the wall . . . His attachment to the Arab and Palestinian identities while leading one of the most successful nuclear engineering programs in the world was simply inspiring. The story of a man born in Jerusalem during such difficult times and making it this far will always be a symbol that represents what it means to be Palestinian and what it means to be Arab.” Kazimi, the preeminent Palestinian-American scientist, died of a sudden heart attack in July 2015. As Journal of Palestine Studies editor Rashid Khalidi once wrote in particular reference to Kazimi, the three men depicted in this special focus constitute “an example of the level of distinction that many Palestinians have attained in spite of the circumstances that have afflicted their people for generations.” Unlike others who have also known and been transformed by tragedy, the Palestinian people remain consigned to their tragic fate. Notwithstanding their struggles, Palestinians continue to stand out for their remarkable professional achievements and as examples of steadfast resistance. Honoring their legacy serves to preserve collective Palestinian memory and history. For our June Special Focus – Remembrances we present a series of portraits and obituaries drawn from material published in the Journal of Palestine Studies that pay tribute to the extraordinary Palestinians who committed their lives toward bettering the fate of their people and honoring their heritage. 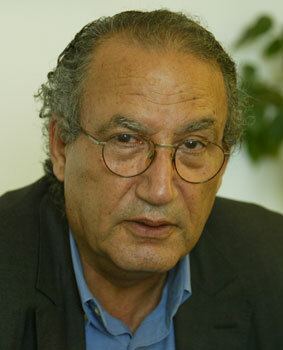 Dr. Eyad El Sarraj died from leukemia in December 2013. He was seventy years old and lived a life of service. The Gaza Strip defined his identity and framed the focal point of his work. It was where he grew up, where he always returned, and where he made his mark. He assumed many roles, all of them designed to protect people from cruelty, fear, and humiliation. He was Gaza’s first psychiatrist and a pioneer in the practice of community mental health. He insisted that wellbeing was impossible without peace and justice and founded a program that integrated clinical services and political advocacy. He was a prolific commentator and masterful storyteller who brought the intimate, day-to-day ordeal of occupation to a global audience. A relentless critic of Zionism and what he saw as its aggressive paranoia, he forged enduring ties to Israeli activists and never stopped believing in the ideal of binational coexistence. Much was said about Ilan Halevi following his death at a clinic in Clichy outside Paris on 10 July 2013. His Palestinian friends eulogized him as an unwavering comrade-in-arms—though born to Jewish parents, he not only championed their cause but actually joined their ranks. Obituaries in the French press and elsewhere recounted some of his life story but much of the information was inaccurate or biased. And, unsurprisingly, Zionist internet sites vilified him in death as in life, accusing him of anti-Semitism and branding him a self-hating Jew who had betrayed his people. Truth be told, the most fitting description of Halevi is the one he himself bestowed on his friend, Felix Guattari: a “singular internationalist” was how he described the great French thinker who died in 1992. Though less of a household name than the slightly younger Darwish, Kanafani, assassinated in 1972 at age thirty-six by a Mossad bomb planted in his automobile, was known during his lifetime in almost equal measure for his political work and writings and for the novels and short stories that today constitute his enduring legacy. In this evocative remembrance of Kanafani written on the fortieth anniversary of his death, Lebanese novelist Elias Khoury treats the two strands, literary and revolutionary, as inextricably intertwined, two sides of the same coin. 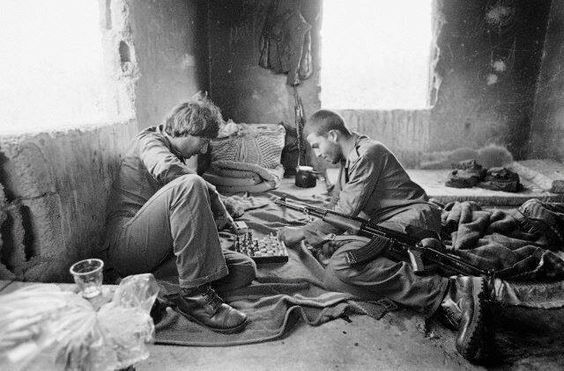 In the 1960s and 1970s, “Palestinian Resistance” referred to a movement made up of men and women who called themselves fida’iyin (meaning those who sacrifice themselves), and for whom self-sacrifice for the cause of Palestine was their raison d’être. They did so in myriad spheres, from the cultural and the social to the political and the military. Many of the best among them made the ultimate sacrifice in this cause. These included several of the movement’s most prominent cadres and leaders, who from the 1970s onward were targeted for assassination by Israel and at times hostile Arab regimes. In later years, mistakes, miscalculations, deviations, and corruption clouded and eventually dispelled the image of these early years of the resurrection of the Palestinian national movement. This is why the two short appreciations of departed fida’iyin that follow are so welcome, serving to revive our memory of a time when commitment and self-sacrifice were the rule rather than the exception in the Palestinian Resistance. Hasib Sabbagh, who died on 12 January 2010 after a long illness, was arguably the preeminent Palestinian entrepreneur in the business and contracting fields in the post-1948 period. Born to an old and distinguished Greek Catholic family of Safad in Eastern Galilee, Sabbagh established the Consolidated Contractors Company (CCC) in 1945 in Haifa with several partners after graduating in engineering from the American University of Beirut. Using the CCC as his base, he began as of the early 1970s to devote his great energy to the service of Palestine, not only through his philanthropic ventures promoting social and educational causes, but also through his behind-the-scenes political mediation and reconciliation efforts. The following reminiscences trace the unusual partnership and friendship between the author, whose orientation was largely academic, and Sabbagh, whose approach reflected his big-business milieu. The memoir includes Sabbagh's own account of his departure from Palestine in 1948 and sheds light on some relatively little known activities of the Palestinian business and academic elite in the post-1967 period. Shafiq al-Hout was one of the original founders of the Palestine Liberation Organization (PLO) in 1964, a member of its Executive Committee in 1966–68 and 1991–93, the long-time PLO representative in Lebanon, a prolific and talented writer and journalist, and an orator with rare gifts. He was born in Jaffa to a Palestinian family that originated in Lebanon, but lived most of his life in Beirut. Shafiq al-Hout never returned to Palestine after his family was forced to flee Jaffa for Beirut by boat in April 1948, but he always yearned for a return with dignity. He was deeply marked by the cosmopolitanism for which those two seaside cities are known. An aura of infinite sadness seemed to attach to Mahmud Darwish over the nearly four decades I knew him. In spite of his rapier wit, jovial affect, and sociable nature, he always carried himself with a reserve that seemed to bespeak an inner sorrow, as if he perceived wrenching tragedies deeper than the rest of us could fathom. His poetry, especially when he recited it, conveyed the same sense of seeing the entire course of the inexorable fate of his people, even as his words gave voice to the indomitable spirit of ordinary Palestinians. With the passing on 25 September of Dr. Haydar ‘Abd al-Shafi, the Palestinian people have lost a unique symbol of what was best about their cause. A founder of the Palestine Liberation Organization and the Palestine Red Crescent Society, ‘Abd al-Shafi was best known in the West for his participation in the 1991 Madrid Conference as the leader of the first independent delegation to represent Palestine and its people at an international conference in over 50 years. Hisham Sharabi was one of the twentieth century’s most renowned Arab American intellectuals. He was the peer of men such as Philip Hitti, Amin Rihani, and Edward Said. Like them, Sharabi was a teacher and a scholar; like Rihani and Said, he was also an activist. He was a public intellectual who fought for a cause. That cause was Palestinian rights. Because that cause was misunderstood and maligned in the United States, his achievements are at once less publicly appreciated and more impressive, for those who fight earnestly and consistently against the odds created by stereotyping and propaganda are among the greatest assets of their community. This essay examines Edward Said’s philosophy of intellectual life and what an intellectual vocation entails. Said’s major contribution, Orientalism, is discussed in light of his own concept of "traveling theory" and its impact on various disciplines, especially postcolonial studies. Said’s views on Palestine and the Palestinians are also elaborated and contextualized in his own oeuvre. Finally, the essay discusses Said’s interest in musical performance and attempts to read his work “musically,” showing how all his interests are part of a larger whole that constitutes his intellectual legacy. While most of these articles are only available for this month, you can have access to our entire archives if you Subscribe to the Journal of Palestine Studies! Generous contributions from people like you make it possible for us to preserve Palestinian heritage and defend Palestinian rights. Make a tax-deductible donation today!